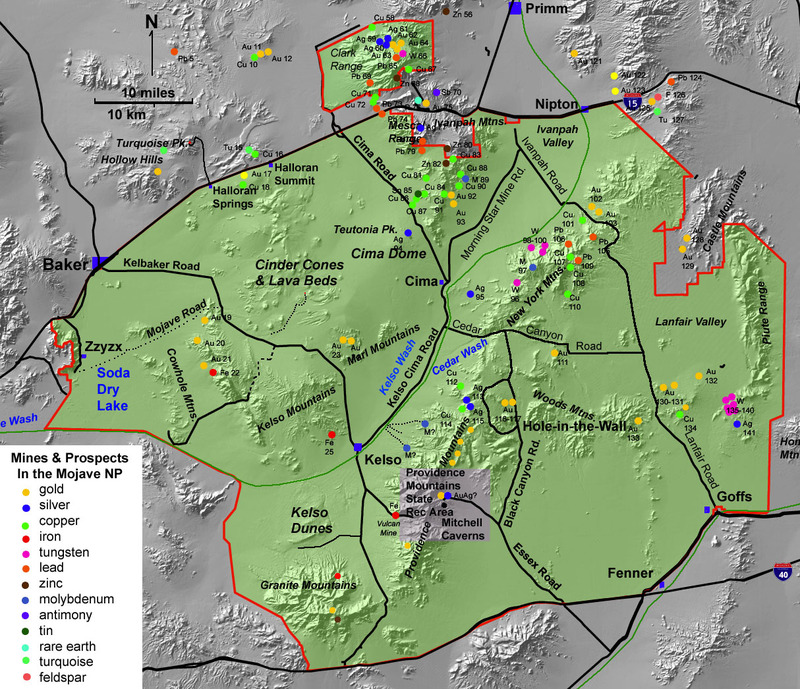 Compared with modern populations, small numbers of Native Americans utilized the Mojave region at the time of European contact in the 1600's. 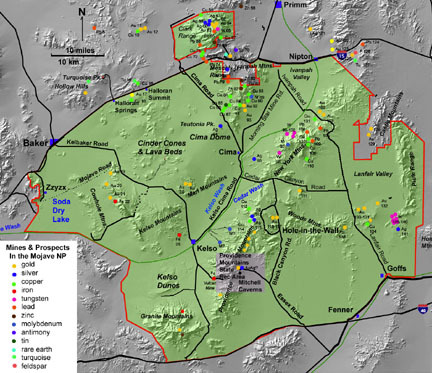 The tribes along the Colorador River corridor of the eastern Mojave included the Mojave, Halchidmoma, and Kohuana (or Chemehuevi or Southern Paiute); in the more western part of the Mojave National Preserve region were Chemehuevi (or Southern Paiute) and Desert Cahuilla tribes (Heizer and Whipple, 1971). The Mojave was the largest tribe and was found distributed throughout the region from the Colorado River to the San Bernardino Mountains. Most of the Mojave's Native American population vanished from imported diseases, subjugation, and hostilities prior to the 1860's. Traces of the Old Spanish Trail (and an alternative route) come into the Mojave National Preserve area from the north and east and merge to the west. Various routes may have converged at perrenial water sources at the springs along the shore of Soda Lake (near Zzyzx), but the two main routes historically intersected along the Mojave River near Yermo, west of Afton Canyon. The northern route came south from the Pahrump Valley, through Tecopa, and south through historic Valgean in the Silver Lake valley into what is now the Baker area (along Highway 127). The alternative southern route came in from the east via the Colorado River and crossed through the Preserve, basically following what later became the Government Road. Petroglyph inscriptions of early travelers are preserved at Piute Springs (in the Preserve) and include notable historic names: Garcés, Smith, Whipple, and Beale. Beale directed a government land survey in 1853. One historic inscription reads "Stuart, 4th Inft. May 16, 1851" [though the last digit may be another number]. Another notable expedition along the trail included Kit Carson and Lieutenant George D. Brewerton in 1848. (NPS, 1998 and NPS, 2001). The first rail lines through the Mojave Desert were completed in 1906; the Kelso Depot was built in 1924 by the Union Pacific Railroad to serve as a transfer point and water station. In the 1940s nearly 2,000 people lived in the Kelso vicinity, most were employees or families associated with nearby mining operations. With mine closures after WWII, and as diesel locomotives replaced steam engines, Kelso Depot was no longer needed to water the steam locomotives. By the 1950s, the once thriving town of Kelso nearly vanished. Kelso Depost is currently being restored to serve as a National Park Service visitor center.